Skinny Gene offers an online DPP, a brick-and-mortar DPP, and community events like cooking classes for participants in San Diego County. The variety of options, whether online, in-person, or community-based, allow participants to choose the program that best fits their needs. DPP programs have a partnership with SideKick health, which provides mobile support and easy information logging. Skinny Gene is organized by the J. Moss Foundation, a nonprofit organization committed to reducing health disparities and bringing health to underserved populations in the San Diego Area. While Skinny Gene’s DPP is available to all as a paid program, it is a non-profit focused on reducing health disparities through diabetes prevention. As such, many of its efforts and events are directed toward disadvantaged communities within San Diego County. The Skinny Gene Project is a non-profit based in San Diego focused on helping people—especially those in underserved communities—prevent diabetes. Skinny Gene takes a multi-pronged approach to preventing type 2 diabetes. At the community level, it offers cooking classes, educational games and video screenings, and other events focused on bringing about increasing awareness of diabetes prevention. For individuals, Skinny Gene offers a CDC-recognized, in-person Diabetes Prevention Program (DPP), as well as a virtual DPP featuring one-on-one coaching and group support. In this way, participants can choose whether an in-person or virtual DPP is best for them. Skinny Gene has also partnered with SideKick Health, which offers a free app designed to make the program more convenient, with activity tracking, food logging, suggestions for healthy living, and a gamified system for monitoring progress. While Skinny Gene’s DPP is available to all as a paid program, it is a non-profit focused on reducing health disparities through diabetes prevention. As such, many of its efforts and events are directed toward disadvantaged communities within San Diego County. Skinny Gene showcases the strength of combining many sorts of interventions: a traditional brick-and-mortar group DPP, a virtual DPP option, and community-level interventions to address underlying social determinants of health. While its DPP curriculum is not unique in any major way, it is the combination of this program with broad community interventions that demonstrates Skinny Gene’s understanding that prevention requires both individual behavior change and a supportive environment. 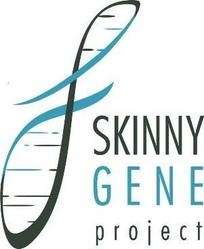 “What We Do,” Skinny Gene Project, n.d., http://www.skinnygeneproject.org/what-we-do/.